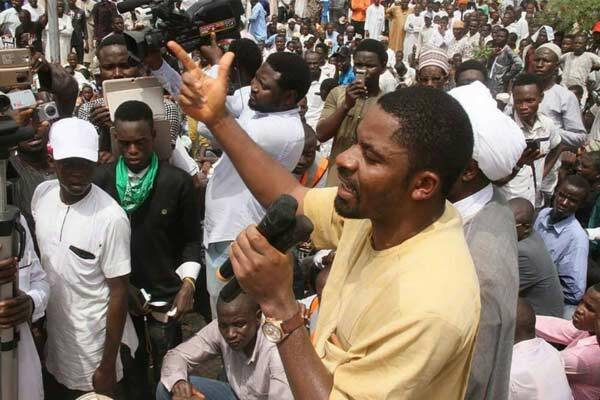 A Karshi Magistrate Court, Abuja, has remanded an activist and Convener, Concerned Nigerians, Deji Adeyanju; Daniel Abobama and Boma Williams in Keffi prisons, Nasarawa State, for protesting against alleged partisanship by the police. The three accused persons had led a protest to the Force headquarters, Abuja, on Wednesday, against the police for sealing the Akwa Ibom State House of Assembly on Tuesday, when they were picked up and hastily arraigned in court. The men were charged with criminal conspiracy, public nuisance, disturbance of public peace, and threat to public security and safety, criminal defamatory and derogatory conduct against constituted authority and breach of law and order under Sections 96, 113, 114 , 152, 183 and 391 of Penal Code. The accused persons were, however, granted bail by the presiding Magistrate, Aliu Kagarko, but they could not immediately meet the conditions which included two sureties one of whom must be a level 14 civil servant with a cover letter from his superior, and also a businessman with a verified address. They were subsequently taken to Keffi prisons by the police after they failed to provide the sureties. They condemned the deployment of policemen in Akwa Ibom State House of Assembly to provide security cover for five members of the 26 - member legislature in their illegal attempt to impeach the Speaker. The group alleged that the event was linked to the deaths in police custody of the prime suspect in the April Offa bank robberies, Michael Adikwu, and the major suspect in the allegations against Senator Dino Melaye for gun running, Nuhu Salisu.